This weekend I set up a new Painting With Light audio/visual installation at Watermans Arts Centre in London using the new audio playback features in the 1.5 beta. I also ran a workshop with Exploring Senses through a Brighton Digital Festival Education Award for thirty 13-19 year olds who hacked toys, built a cardboard city for them, created animations about them, and finally used Painting With Light to bring everything together into a digital metropolis! And all in just 7 hours! 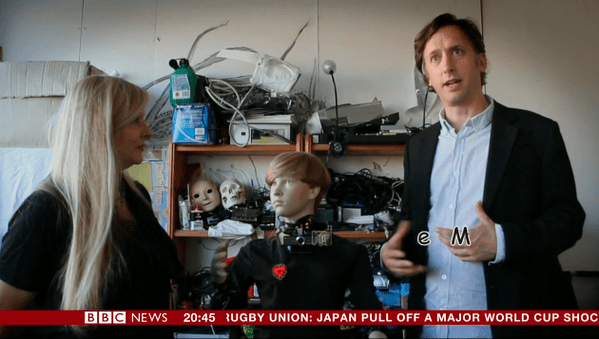 And finally, I was featured on BBC News 24 and BBC Global World News talking about the My Robot Companion art project that I’ve been working on in collaboration with Anna Dumitriu as part of my ongoing artist residency at the University of Hertfordshire.